Quedge Design offers graphic design, brand identity & development and printing solutions for all types of projects, people and budgets. For business or personal needs, Quedge Design understands the importance of design and marketing to make your business or organization stand out of the crowd and earn a well-worth identity. We're a creative powerhouse waiting to tackle any project. Bring it on. Quedge Design has gained respectable experience in the industry of graphic design and brand development since we inked our first business cards back in 2007. Over the past 4 years we've assisted in the emergence of many successful small businesses and created print material that is changing the way we infer a business card and altering the way that we consume a poster. "Just because you may be small, it never means a design project needs to be." Not only have we been helping small businesses with creating and establishing their brand, we also love the creativity allowed for taking the reigns of personal projects that may be as small as a birthday invitation to creation of a full-out wedding event material. And if you're a business, we're just waiting to bring success into your view through the means of brand development and quality print design. From devising entire branding schemes, to producing materials for a killer marketing campaign, or just simply creating your new hire's business card, we've been there and we've done that. We'll turn anything into something, and not just any something. We believe that quality doesn't need to be expensive, and communication with our clients needs to be fluent. That's why we've been putting smiles onto faces and igniting creative dreams into reality. We never beleive graphic design needs to be expensive, and we offer our services in a nice balance between affordability and quality. We take great pride in offering services that can be accessed by businesses of different budget sizes. We don't push for hefty, all-inclusive design packages, but at the same time we ensure that we can provide you with an optimized design or branding solution for your goals. Just because you may be small, it never means a design project needs to be. We've recently joined the stock illustration and print template powerhouse of Envato and GraphicRiver. We've already made a few uploads to the GraphicRiver community, and you could check our our work by clicking here. Some of the print templates that we've already put up for sale include business cards and resumes, and we have plans for many more to go up as we take the time to finish and fine-tune them. 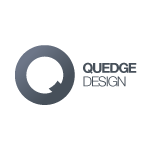 The marketplace that we have contributed to is great for those wanting a quick yet quality-driven solution for pre-made proffesional and contemporary graphic design and layout files from Quedge Design. We'll also try our best to support you if you have any questions about the Quedge Design templates that you purchase and we can always discuss ways that we can customize the files further for you. 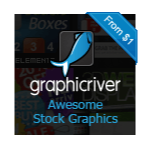 Have any ideas for files that you want to see uploaded to GraphicRiver? Let us know.